Apple cases are more of a necessity than ever before. While each new iPhone model ups the stakes with cutting edge technology, they certainly don’t get tougher. If anything, each new phone that comes out is more and more delicate. Not only that, the price of that accidental slip out of your hands, or splash in the sink, only gets higher and higher with every new model. It’s easy to think you can get away without having a case for your iPhone 7. But come that first drop, when your screen shatters and you end up with an unresponsive brick, you’ll wish you looked for Apple cases to protect your expensive device. But a lot of iPhone owners are loathe to cover up the striking Apple aesthetics with a protective case. We totally understand that. After all, you chose your iPhone color, and you want it to shine, not be hidden away. Clear Apple cases are the perfect solution, because they allow you to keep your iPhone 7 protected while also showing off its color. 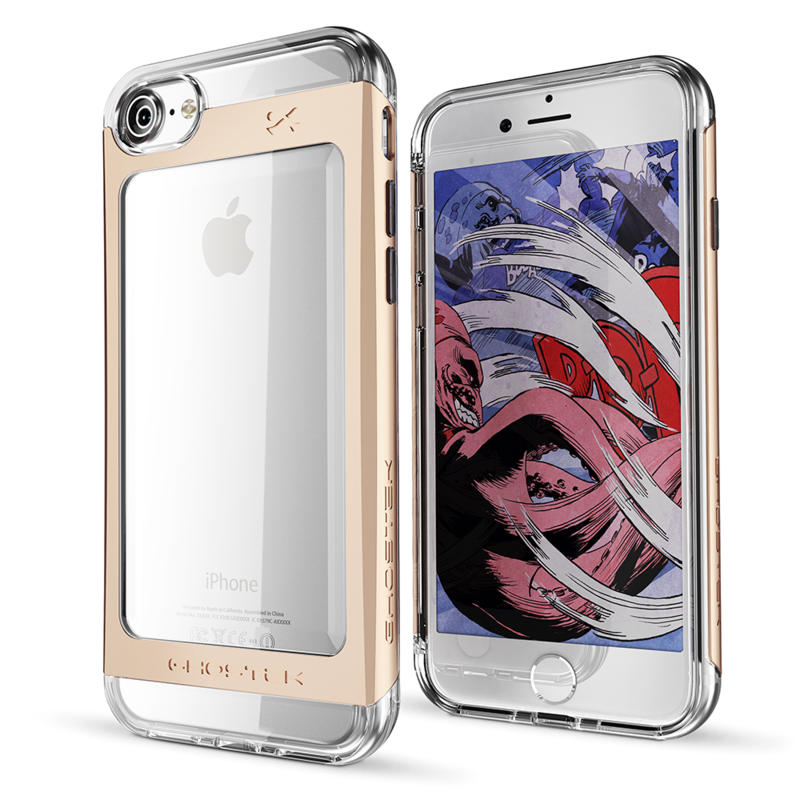 Check out these five clear Apple cases. We break down the levels of protection they offer, any color options, and the price, so you can pick which one suits you best. Protection: The Ghostek Cloak 2.0 offers an impressive level of shock protection, to keep your iPhone 7 safe from the damage that comes from drops. It’s constructed in two of the best shockproofing materials – aluminum alloy, and TPU. The strong metal bumper and absorbent layers work together to help your iPhone 7 withstand even the harshest of drops and scrapes. 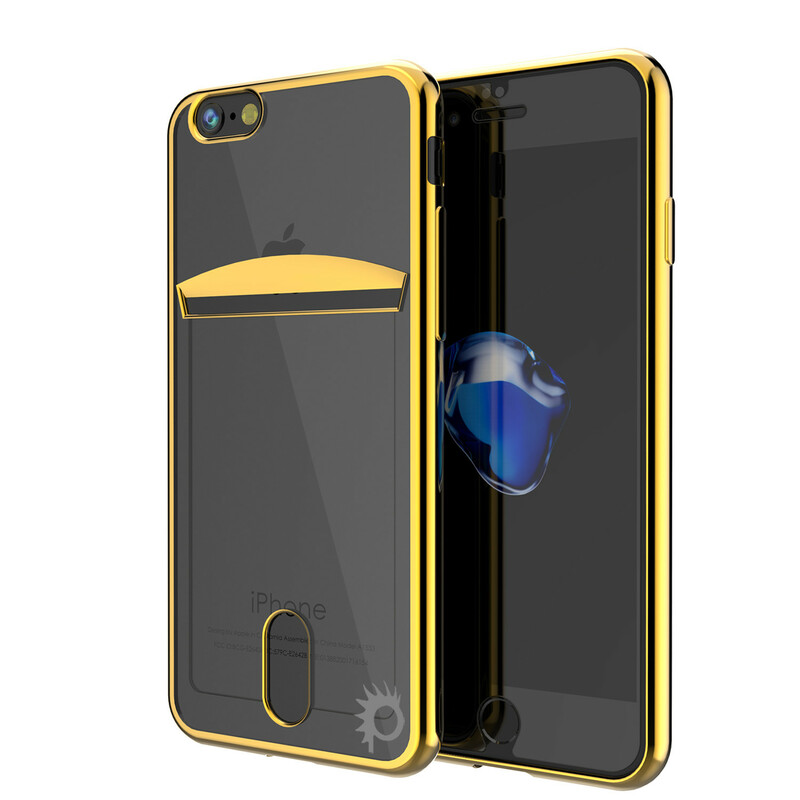 Color options: In our opinion, the Cloak 2.0 is one of the best looking Apple cases out there right now, with a transparent body and a color frame in back. We especially love the Cloak 2.0 in the gold color option, but you can also pick from black, teal, silver, red and pink. Protection: The Atomic 3.0 is nothing short of a protection powerhouse! 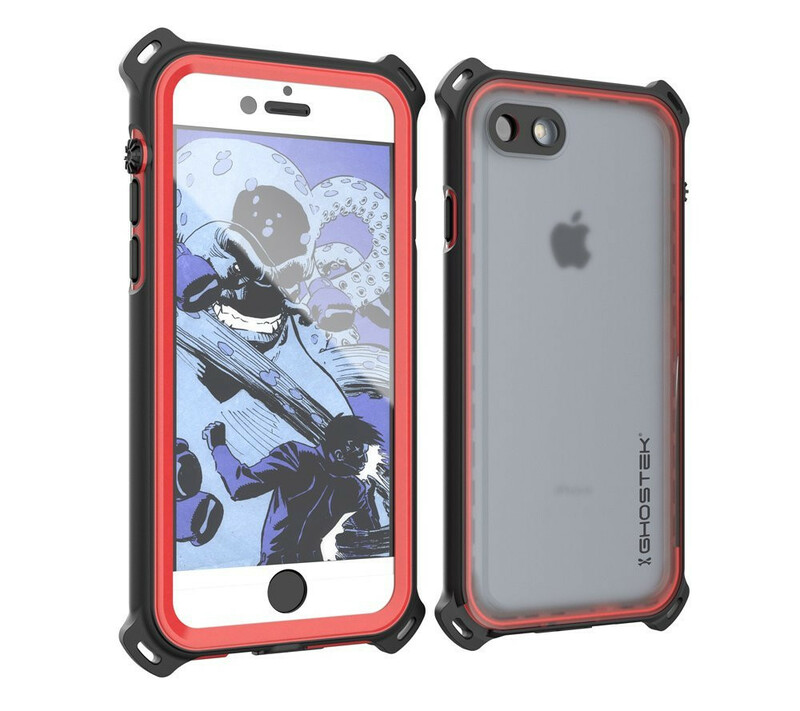 For one thing, it has the thickest aluminum alloy bumper we’ve seen out of all Apple cases, which gives it superpowers when it comes to resisting drops. For another, it’s waterproof up to 4ft for 1 hour, and totally sealed to snow, ice, sand, dust, dirt, lint and mud. 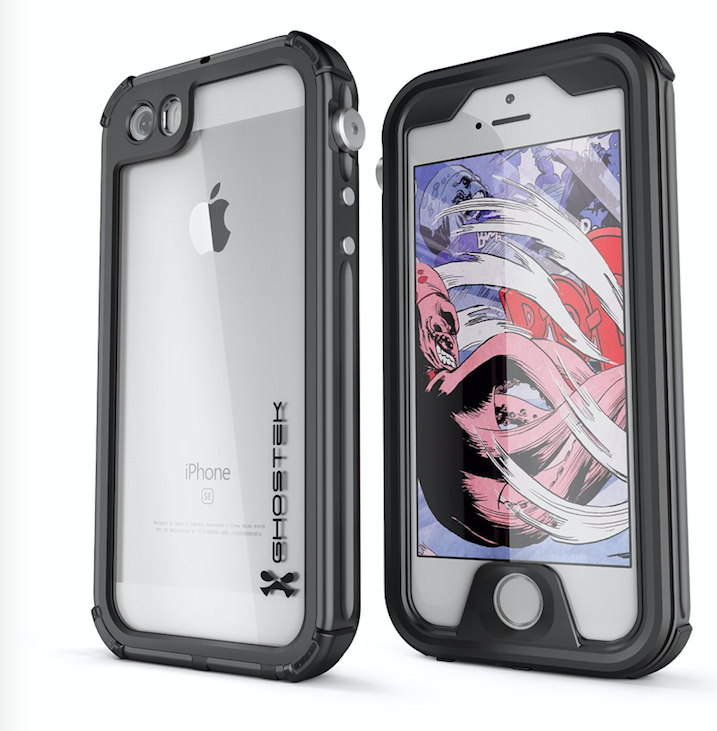 Color options: The thick bumper comes in black, gold, teal, pink, red and silver. All of them look incredible, so it’s impossible for us to choose a favorite. Protection: Another case that can block out just about everything, the Crystal is the perfect option if you love what the Atomic 3.0 can do but you’re on a lower budget. It comes with total waterproofing (IP68 certified), snowproofing, iceproofing and mudproofing. It doesn’t feature a metal bumper, but it’s crafted from absorbent materials such as TPU, which gives it good drop proofing ability, too. Color options: The Crystal has a crystal-clear back, as the name implies, but there’s still plenty of color choice for the detailing. Our fave is teal, but you can also pick from black, pink, white, red, blue, green and purple. 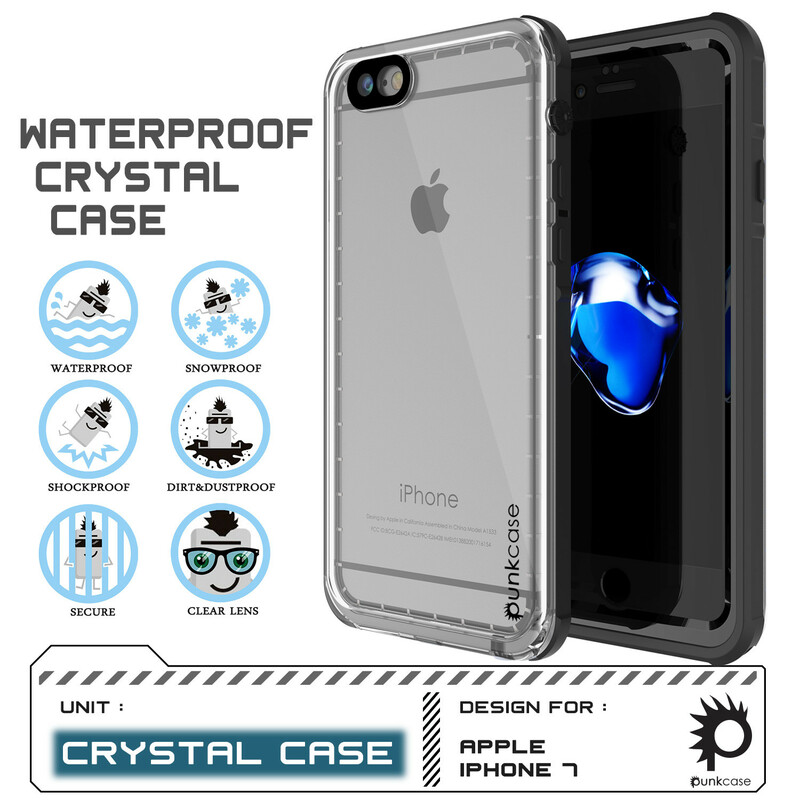 Protection: Another of the clear waterproof Apple cases, the Ghostek Nautical comes with a whole bunch of protective features. The unusual corners feature drop spring technology, while raised bevels and the absorbent back cover work together to protect your iPhone 7 from all angles. It’s shockproof, dirtproof, snowproof and iceproof, too. Color options: We love this in the green. Pick from black, green, pink, red, teal and white to find your favorite. Protection: The main function of the Lucid is to hold a credit card while simultaneously protecting your phone. With TPU protection and a screen protector, the Lucid is ready to keep your iPhone 7 safe in the case of drops. By the way, if you like the Lucid but don’t need the credit card function, then the Lucid 2.0 is the same phone case but with a normal clear back. Color options: We love the rich gold color, but you can also pick from black, silver and rose gold. Now we’ve shown you 5 of the best clear Apple cases for iPhone 7 – which will you get next? only thing is these are clear cases, UAG doesnt have one.